Establishing a business in Belize is a popular choice for both savvy small business owners and large financial corporations. Since Belize boasts a low cost of living, the overhead for operations can be incredibly affordable, saving businesses money on a day-to-day basis. From a logistics point of view, it is still relatively close to the United States, meaning that trips can be completed in just a few hours by plane. Best of all, there are a number of tax benefits as well as privacy stipulations that can protect businesses established in and operating from Belize. As you plan your own corporate establishment in Belize, learn about an IBC and an LLC to determine which is the best classification for your business. Since 1990 and the passing of the International Business Companies Act, Belize has been a popular place to establish an IBC, or international business company. The IBC is a fantastic vehicle for conducting business without being liable for local taxes in Belize. Many businesses appreciate that having the IBC designation means not having to file annual returns, being able to keep corporate records anywhere in the world and not having to publicly disclose financial reports or lists of directors and employees. Since an IBC is an international company, it is not allowed to conduct business within Belize. There is, however, a minimum capital amount that must be held at all times within a Belize financial institution. An LLC is a limited liability corporation, which means that it is owned by a single person or a partnership of two individuals. Establishing an LLC means that you can separate your business assets from your personal holdings. Business taxes will be separated from individual taxes, and any bankruptcies that impact the LLC won't necessarily force you to give up your personal holdings. In Belize, an LLC is a popular choice for both small businesses and anyone who wants to incorporate their IRA and manage their own retirement holdings moving forward. Establishing an LLC in Belize is a very straightforward process, and it typically takes under a month to submit the paperwork and begin operations as a legal LLC in the country. On the surface, there are definitely some similarities between the IBC and the LLC. Both are companies established within Belize, and both offer incredible privacy, anonymity and financial security to international business owners. In addition, both are generally not designed to operate within Belize and make money from local residents. If you are interested in establishing a company that conducts business within Belize, then qualifying to become a local onshore company is probably a better fit. Despite the similarities, there are absolutely some key differences between an IBC and an LLC. Right off the bat, an LLC is typically a much smaller company, simply because it consists of just one or two owners. An IBC, on the other hand, can be owned by a large board of directors or a team of investors. An IBC is also a more difficult designation to obtain, and it can take some businesses several months and several meetings to make it official. The biggest benefit of an IBC over an LLC is the ability to retain earnings. An LLC must have all of its profits and expenses settled in a single calendar year. 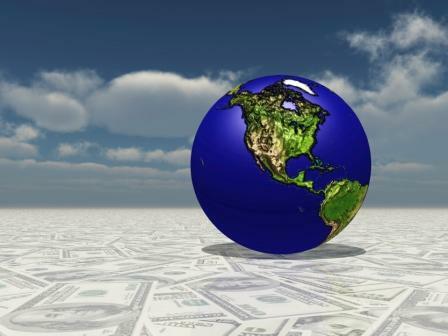 An IBC can defer ordinary income that is generated from outside of the US into the future. Starting a business in Belize brings with it a number of perks. Depending on the size and makeup of your business, you can establish an LLC or an IBC to achieve success in Central America.